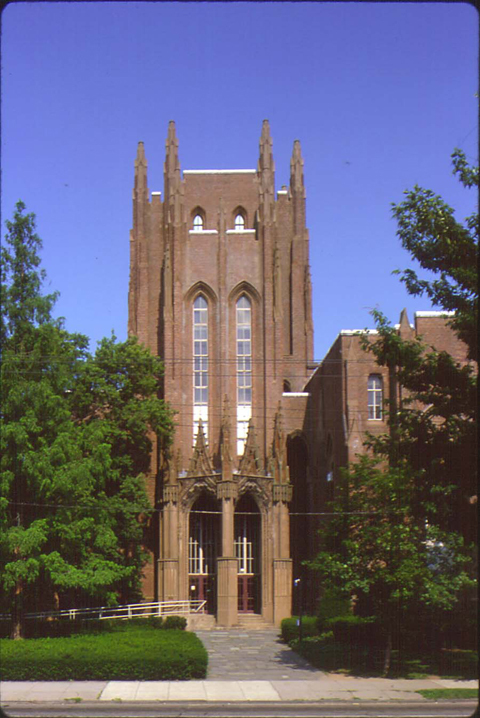 The Peabody Museum at Yale University has been a long-time client originally of Sears & Russell Consultants (S&R) and more recently WeatherstonBruer Associates (WBA). There have been five major projects in which Jeff Weatherston, principal of WeatherstonBruer Associates, has been involved. The 2000 Facilities Master Plan was undertaken in parallel with the development of the new Environmental Sciences Center (ESC). As the ESC was being planned it became clear that an overall facility master plan was required for the Museum. S&R assisted University staff to negotiate the reallocation of space between departments to centralize Museum functions and improve operations. The Peabody Museum obtained accreditation from the American Association of Museums following completion of the Master Plan and concurrent financial planning work. The Environmental Sciences Center is a multi-disciplinary curatorial, research, and teaching facility completed in 2001 that serves to advance knowledge on environmental issues. S&R worked closely with the project architects, GSI Inc., providing museum consulting services. The work included planning and design of the Museum’s collection facilities including specialized common area. It also included detailed design and specifications for the collection management facilities and collection equipment and ongoing review services during fabrication and installation. In 2007 as a result of the expanding requirements of the collections and the scheduled demolition of one of their existing facilities the Museum needed to plan for the future care and management of their collections. WeatherstonBruer was retained to prepare a detailed assessment of the Museum’s collection facility requirements and plan the reorganization of the existing facilities. This also included establishing the priorities and requirements for new off-campus facilities. Subsequently we designed the temporary facilities for the new off-campus facilities at West Campus to address the Museum’s most pressing collection needs. In 2010 the Museum was once again looking to expand and improve their public presence and offerings at the institution’s facilities on Yale campus. This resulted in the 2011 Master Plan prepared by Centerbrook Architects and WeatherstonBruer Associates. WBA’s role was to look at the implications of this overall Master Plan on the Museum’s collection facilities and included the preparation of a master plan for the collection’s off-campus facilities at West Campus. WBA continues to be involved in the ongoing implementation of the West Campus master plan. Currently WBA is designing a new facility for the Museum’s Anthropology collection.